Known as the “Land of the Eternal Blue Sky” or “Country of Blue Sky” because of its sunny days during most of the year, Mongolia enchants travellers with its majestic vast empty spaces and nature. The highly continental climate combines warm summers and dry, very cold long winters. From November to March the temperature is below zero and winter nights with -40°C are common. In the summers, extremes can reach +40°C in the Gobi Desert and +33°C in Ulaanbaatar. In many regions of the country, monthly temperature variations of 45°C are common. On Monday and Tuesday of your first week you will start your Mongolian experience by learning some basic language skills, which will allow you to communicate with the local people. You will learn about Mongolia’s ancient culture and visit some sights as well as the ancient bazaars with their captivating sounds and colours. On Wednesday, you will start planning the project together with your assigned coordinator. When you are done planning the project you will have lunch and leave for the school to start work. After your work is done you will return to the centre and attend a meeting during which you can give feedback on your first day at the placement. The next day will start earlier. 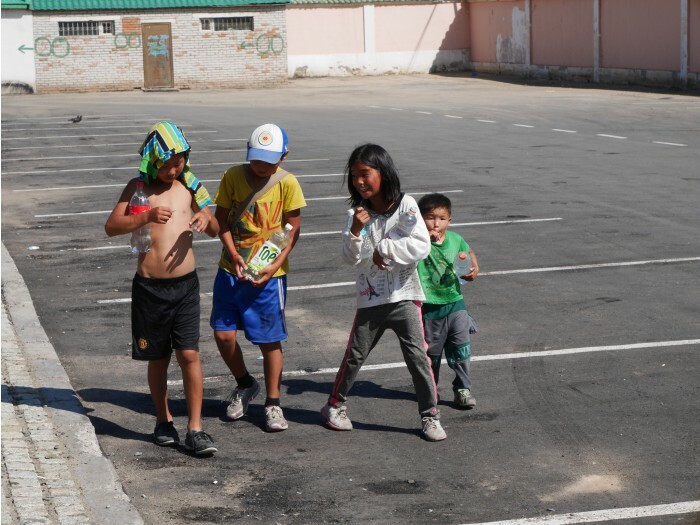 You will go to the project site and get to teach sports rules and the basics of games, you will show examples of different sports and play together with the children teaching them how to show respect and play fair. Necessary vaccinations, flight & visas.